P3415 is a diagnostic trouble code (DTC) for "Cylinder 2 Exhaust Valve Control Malfunction". This can happen for multiple reasons and a mechanic needs to diagnose the specific cause for this code to be triggered in your situation. Our certified mobile mechanics can come to your home or office to perform the Check Engine Light diagnostic for $69.99. Once we are able to diagnose the problem, you will be provided with an upfront quote for the recommended fix and receive $20.00 off as a credit towards the repair. All our repairs are backed by our 12-month / 12,000-mile warranty. P3415 is the fault code for Cyl2 Exhaust Valve Ctrl Circ Low. Cyl2 specifies that the issue is likely taking place in engine cylinder number 2. This code indicates there is a problem with the exhaust valve on cylinder number 2. The ECM (engine control module) tells these valves when to open and close, in order to carry exhaust vapors away from the engine after the fuel has been used. When this valve fails to open at the correct time, or at all, the ECM detects that the signal being received falls outside of the expected parameters, and the vehicle will set code P3415 or another cylinder exhaust valve related code. What causes the P3415 code? Rarely, this problem may be caused by a faulty PCM or ECM, but other causes should be exhausted first. What are the symptoms of the P3415 code? As with any cylinder malfunction, the Check Engine light will likely illuminate. You may also experience poor acceleration, and fuel efficiency may be affected because the variable valve timing system is typically disabled when a fault of this sort occurs. How does a mechanic diagnose the P3415 code? How serious is the P3415 code? This code isn’t as serious as some problems, but it should be addressed as soon as possible due to the fact that fuel economy and engine performance can both be affected by an exhaust valve malfunction. What repairs can fix the P3415 code? Due to the fact that cylinder valve operation involves many moving parts, as well as complex circuitry, this fault is most efficiently diagnosed by a professional with the proper tools which can offer detailed information on the problem. Making sure that all possible data is collected, using the most advanced diagnostic and testing tools, ensures that expensive parts – such as sensors – aren’t replaced if they don’t need to be. Consulting a qualified technician for a cylinder exhaust valve malfunction can save you time, money, and headaches. Need help with a P3415 code? Travis educated me straight through the entire process about my engine and all the options moving forard. I feel equipped to make good decision for my car after speaking with him. He is thorough and I am very grateful for him. Best mechanic experience I have ever had in my 10 years of driving. Thank you! 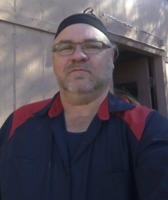 He is very professional and personal with you and explains the problems with your vehicle. Q: Is $2300 too much to pay to replace 2 cat converters for a 2007 Pathfinder?